Abilene is home to over 100,000 residents and is the 25th largest city in the state of Texas. There are many effective advertising opportunities throughout the city. Utilize out-of-home advertising near the three lakes of Abilene that attract visitors every year. Billboards near Lytle Lake, Kirby Lake, and Lake Fort Phantom Hill would allow you to capture potential customers. Target your audience with outdoor billboards near the Abilene Zoo or The Grace Museum as well. The major highways servicing the city also provide billboard possibilities. 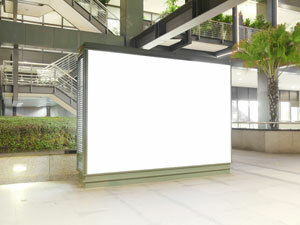 Billboards on I-20 would generate high traffic exposure of your business. Zip Codes: 79601, 79602, 79603, 79604, 79605, 79606, 79608, 79697, 79698, 79699.